Thank you OMY.SG and United International Pictures Singapore for the dose of laughter provided from the Ben stiller and Eddie Murphy movie" Tower Heist" Though the acting was great, I expected much more comedy especially when there are 2 of my most favorite comedians. Come on! Probably after my last comedy Bridesmaid, I was expecting much more humor. The movie was great but did not tickle me too much. temporal, enjoy them while you have and always remember to share. Tower Heist starts with Arthur Shaw (Alan Alda) scamming people out of their money via the Ponzi scheme - not just the rich people, but the people hard earned money of working their years in the hard-working upscale Manhattan residential building he was living in. 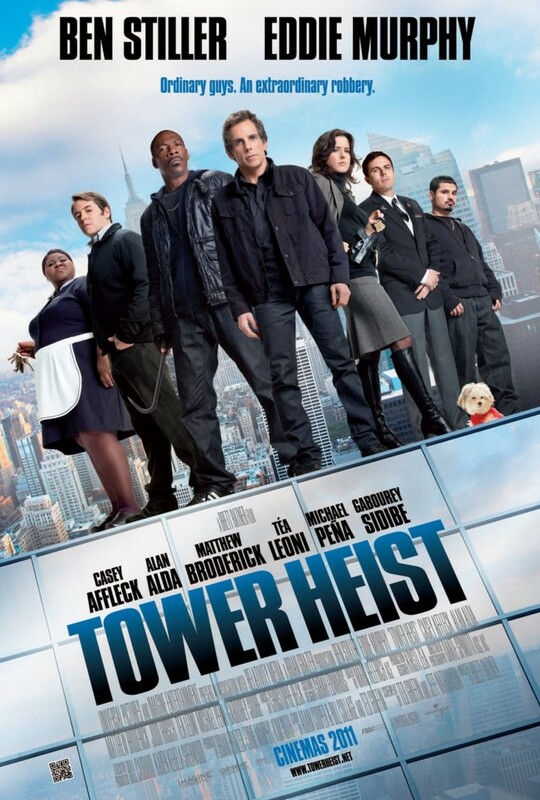 The staff led by Josh (Ben Stiller) start to work together to steal back the money that stole from them. Josh enlists the help of a criminal named Slide (Eddie Murphy) to teach him and his team how to successfully steal $20 million. Josh’s team consists of his brother-in-law, Charlie (Casey Affleck), a former Wall Street broker, Mr. Fitzhugh (Matthew Broderick), the new elevator guy, Enrique (Michael Peña), and maid Odessa (Gabourey Sidibe). We watch good, hard-working individuals trying to bring justice to a very unfair situation - being the Robinhood. Myself ; I love the scene about the maid comments during the cracking of the code on the safe - it was hilarious. Odessa Montero: First thing you gotta do, you gotta find the entry point. You gotta use your fingers, and you find the entry point. Josh Kovacs: "Jeez a hamburger is $24. We can't afford to eat here anyway." The cast is great. They helped the story flow with their character relating to the scenes of humor. 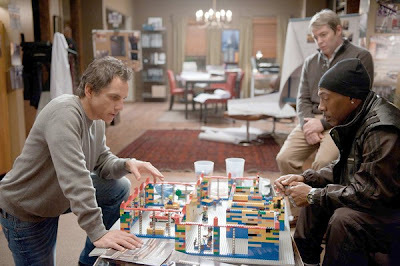 I would recommend “Tower Heist” as a fun day out movie or for families with older kids.